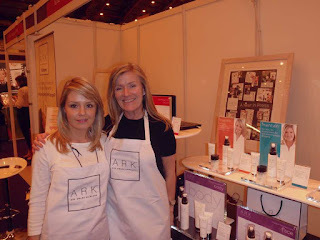 At the Vitality Show in March, I met the lovely Shula Starkey, founder of ARK Skincare, and her equally beautiful sister, Sally. I am always looking for skin care products that won't irritate my skin due to my formaldehyde allergy. I spent a while chatting with these ladies about their skincare line and shops, which started in a Fulham in 1998 and today the products are available in salons nationwide. There are 3 lines that ARK offers: Age Prepare (for ladies in their teens to early 30s), Age Maintain (mid-30s-50), and Age Repair (50s +). The samples I tested were Age Prepare cleanser, exfoliator, masque, and moisturizer. The skin cleanser has a fresh scent to it. It is clear and lathers easily. It feels clean going on and refreshing when you rinse it off. I used it every morning and evening for a week. My skin never broke out and felt soft. After each wash, I applied the moisturizer, which has a similar light scent as the cleanser, to my face and neck. The moisturizer has a few crystals in it, which I thought was odd, but they dissolved as I rubbed in the lotion. Once again, I was pleasantly surprised how my skin felt after the application. There was no redness but a calm soothing feel. When I woke up in the morning, my skin did not feel any more oily than usual. After an overnight flight from the USA back to London, I treated myself to the masque as I watched Twilight. The masque went on in a smooth thin coat. As it dried, it did not flake off or make my skin feel tight. The color was a light tan, so my husband wasn't too scared when he saw me sitting on the couch watching TV. After leaving it on for 10 minutes, I rinsed in off and my skin felt amazing! From now on, I will always do a masque after an all night flight. Finally, the last product in the range I tried was the exfoliator. I didn't use it every day but a few times within a week. The little crystals were like a fine sand or sugar. They were not overly abrasive though, and did not irritate my skin. Usually I stay away from exfoliators as I worry about my skin's reaction. But this one was fine with my sensitive skin. After rinsing off, my skin felt smooth and refreshed. Overall, I love this line of skin care products. The scent is subtle and fresh, as well as consistent across the range so you don't have to worry about contrasting scents. My skin felt smooth and calm with each product. The packaging is simple and classic. 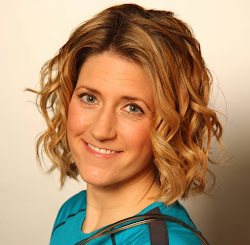 The mastermind behind the product is very passionate about her clients finding a range that suits their needs. Stop by the salon in Putney, London SW15 2PG to to try them out for yourself.